Again while in the Luxembourg Gardens in the 6th Arrondissement of Paris, we took these high definition photos of the Punica Granatum Flore Pleno, or Flowering Pomegranate. 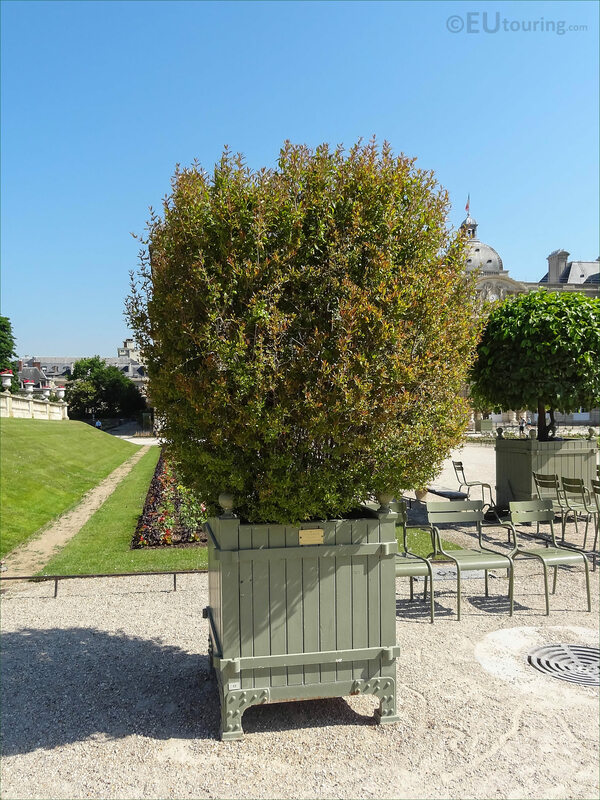 Here you can see Pot number 49, which is an oak panelled wooden crate holding a Flowering Pomegranate that has a scientific name of Punica Granatum Flore Pleno, which was positioned within the formal French styled central garden area by the parterres of the Jardin du Luxembourg. 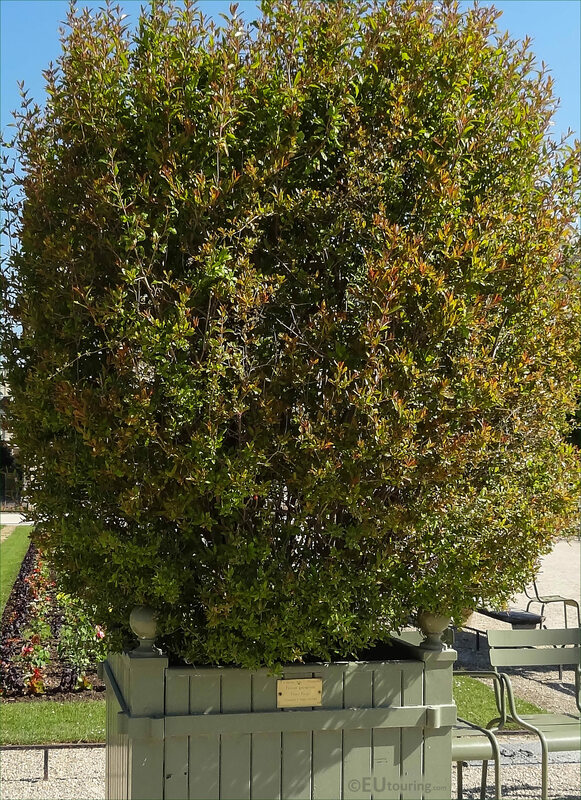 Now this image shows a closer view of this small tree and its foliage, or shrub, that has been planted in one of the oak panelled wooden crates, and there are actually several different varieties of Pomegranate, but this is a double flower variety, and when blooming the flowers look very similar to carnations. 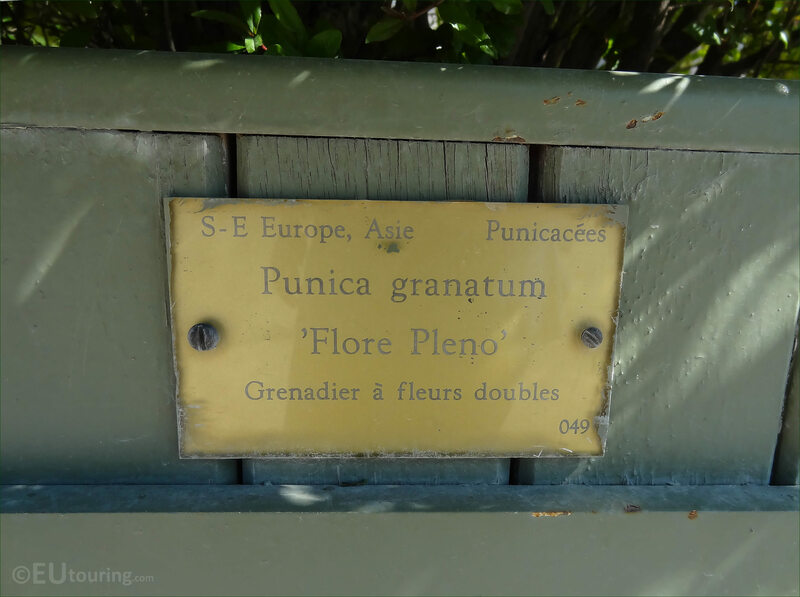 However, although the Punica Granatum is renowned for its fruit and health giving properties recognised in many countries, the Flore Pleno variety with its double flowers, spelt Fleurs Doubles in French as you can see from this close up photo of the tourist information plaque, does not yield that much fruit and it is more of an ornamental tree, which is often found in pots like this one, or used in hedges.